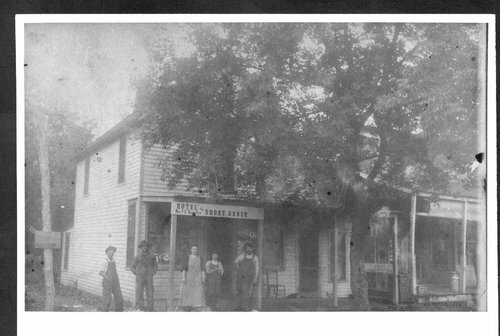 This photograph shows an exterior view of a drug store and a hotel and short order business in Richland Kansas. There are five people visible standing in front of the hotel. The drug store sign is visible to the right of the tree trunk. Holding Institution: Mrs. LeRoy Murren, 1976.